One common issue in P2P overlay networks is Free-Riding in which some peers only receive files from other peers but never or seldom give files to others. Free-riders affect the strength and efficiency of the overlay and hence need to be checked and isolated from the network. Methods are available to identify and isolate free-riders using trust models. Most of such models use the feedback from other peers which have inherent issues like malice and unreliability. Behavioural trust models that permit self-evaluation by peers with built-in measures for fairness have received less attention. An Aggregated Trust model that evaluates the trust value of a peer from its own benefit and contribution history is presented in this paper. The model takes into account not only the size and number of the files exchanged but also the weightage of each file based on its size and popularity. A comparison with the results of aggregated trust models show that the proposed model is more efficient in isolating the free-riders. P Arockia Mary, M Radhakrishnan. 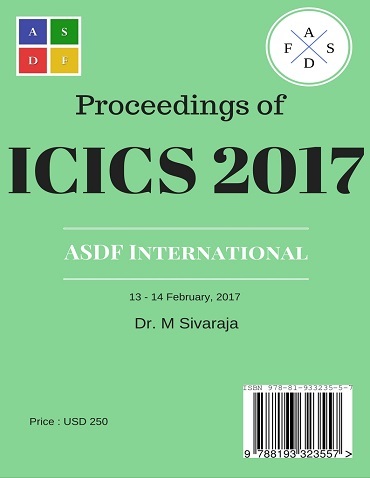 "Free Rider Isolation Using Aggregated Trust Model Including Weightage Considerations" International Conference on Intelligent Computing and Systems (2017): 44. Print.